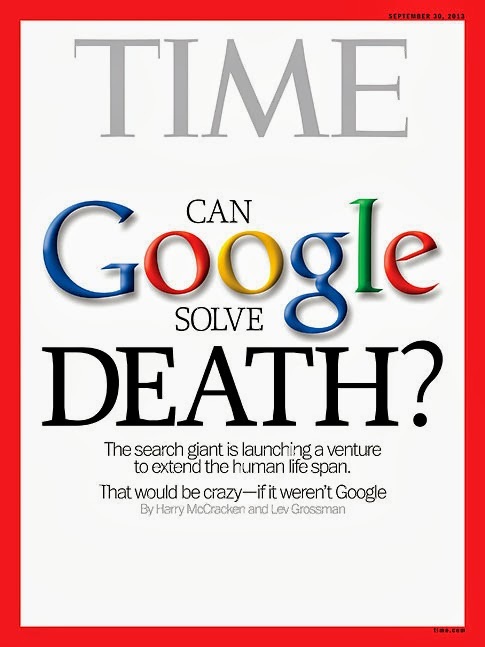 Yesterday, TIME can out with an exclusive story named Google vs. Death on Google's next moonshot idea. The project is called Calico and its goal is to keep people alive longer and living better. Google's previous moonshots include Google Glass, Self Driving Cars, Project Loon and others. But this one is pretty extreme - to help people live longer lives. Google "is planning to launch Calico, a new company that will focus on health and aging in particular," reports TIME. The story had to rephrase it, so you are clear, Google "is gearing up to seriously attempt to extend human lifespan." Of course, the search marketing world thinks - why? Why is Google doing this? They may quickly think there is no way Google is doing this for altruistic reasons. Instead, it is all about the money. People who live longer, can see more ads, click on more ads, and obviously make Google more money. The customer lifetime value is increased, thus increasing the value of that person to Google. But in reality, do you really think Google is doing this simply to make money? One person commented on the TIME Google+ post saying, "20 years (with ads) or you can pay 9.99 a month for eternity."